Google Play Games doesn't get much attention these days, but that doesn't mean there haven't been some changes. We're wrapping together everything that's different in the last few versions, plus touching on some new things that are coming in the future. Left: v5.8. Center: v5.9. Right: v5.10. 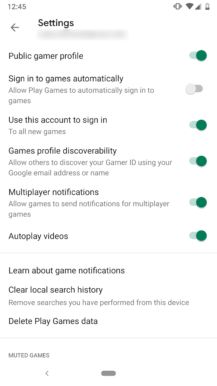 Each of the recent releases to Games has included at least one change to the Settings screen, but most of them haven't actually been particularly significant. 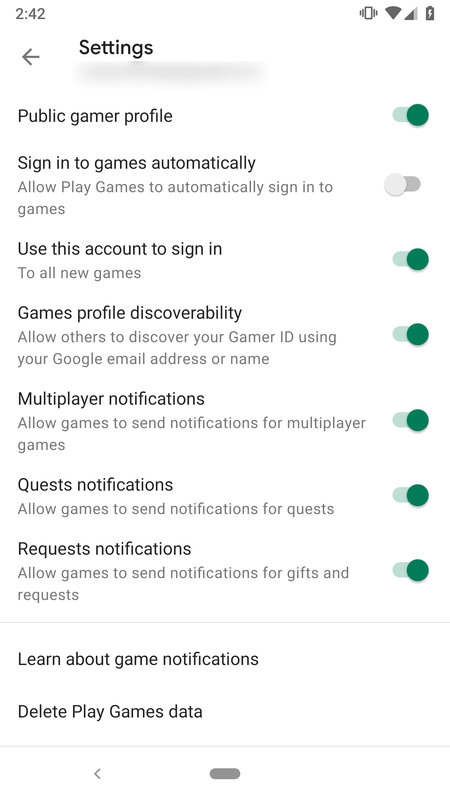 In the move from v5.8 to v5.9, Google removed the options to enable or disable quest and request notifications. This change was actually expected since both features were retired earlier back in March. With the latest version, we're now gaining a new toggle to control whether videos are allowed to autoplay. This setting determines whether the thumbnail-sized frames in the Arcade tab will animate to show gameplay. This is a good addition, the animated frames were a little manic. 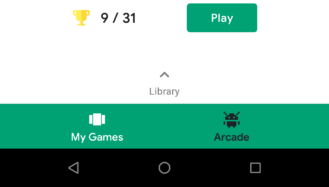 It might not stand out among all of the other larger buttons, but there's a brand new search button sitting at the top of the main screen. Tapping on it reveals a list of trending games, but you can begin typing to get suggestions, then hit the search button on your keyboard to see the full list with animated videos. 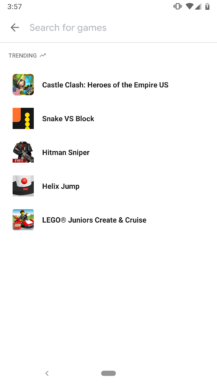 The list of built-in games has grown to four in number. 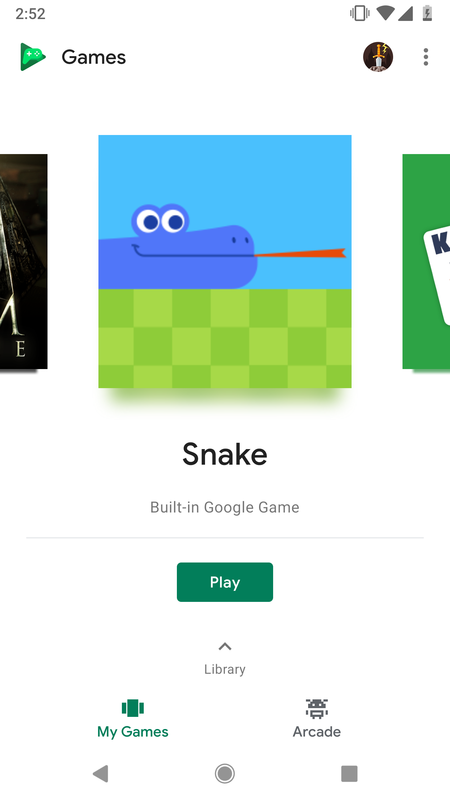 Snake, one of the true classic games from the days of dumb phones, is joining Solitaire, Cricket, and PAC-MAN. There was also a palette swap from v5.7 to v5.8 as the recently added tab bar at the bottom was moved to a white background. 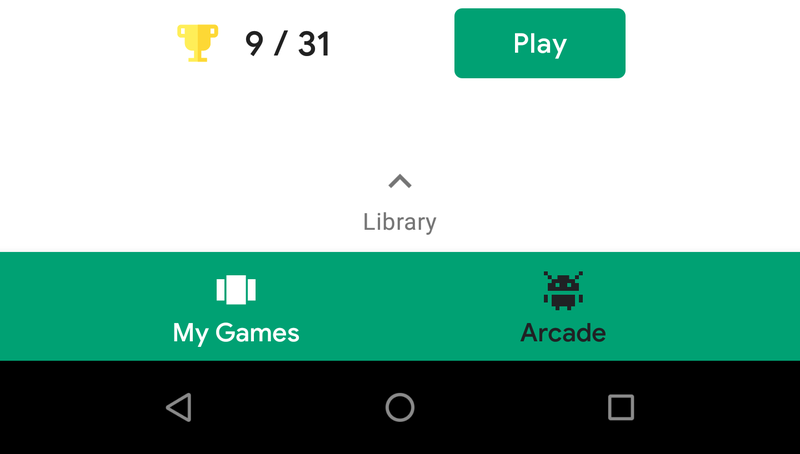 On the one hand, the green background was a bit awkward and not very attractive; but on the other hand, the tabs for My games and Arcade now appear to be hovering in empty space, as is the Library indicator above them. Maybe it's time to slot the Library in as a middle tab so the whole thing looks a bit more uniform. 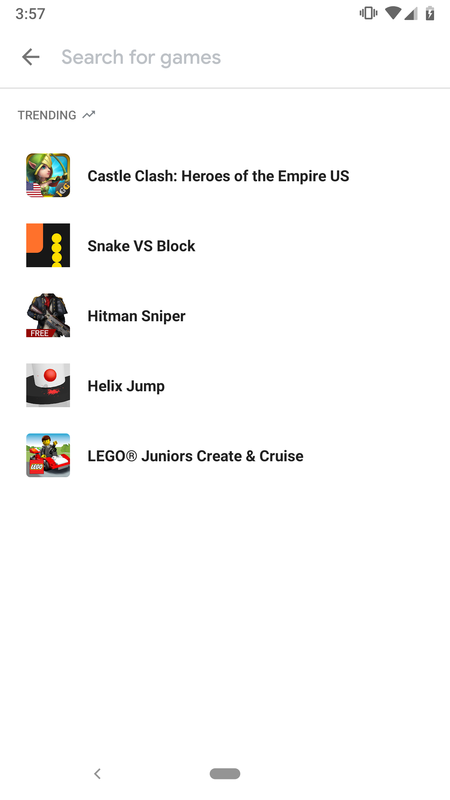 One final addition came in v5.8 that adds a link to a YouTube video for the games in your carousel. 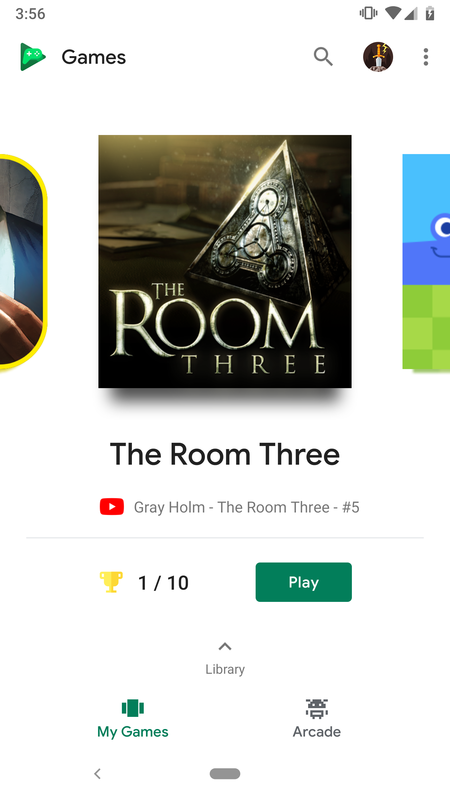 The videos appear to be randomly chosen, but they always seem to include gameplay footage. 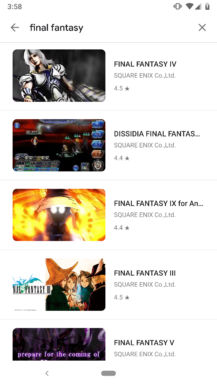 Not all games will get links to videos. It seems like we're inching ever closer to the age of darkness. 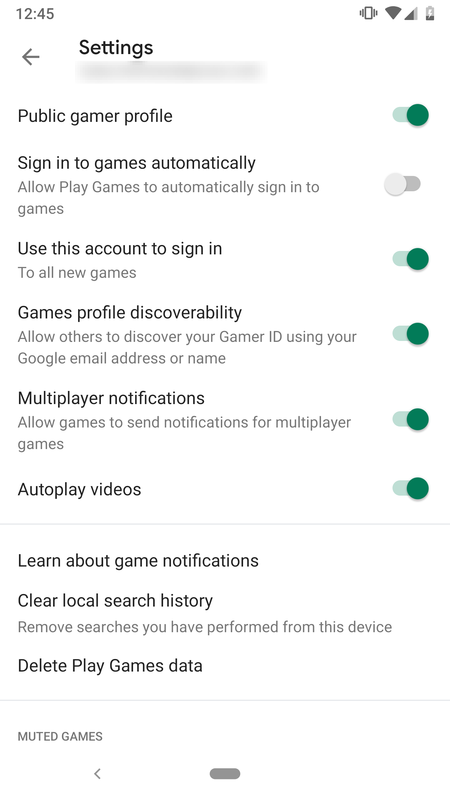 Several different Google apps have shown signs of upcoming dark modes, and now we can add Play Games to that illustrious list. 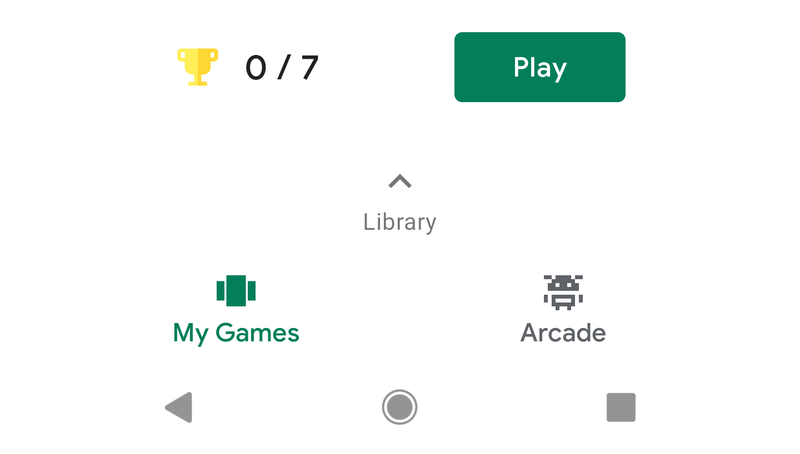 Labels have been added for a new dark theme that would skin Play Games so it won't be quite so blinding in dark settings. The description states that the entire app will take on the dark color scheme, but it isn't exactly clear about the little logged-in banner that pops up in games when they sign in or when you gain a level. These floating dialogs might not be very large, but they can still be pretty overpowering against a dark background. 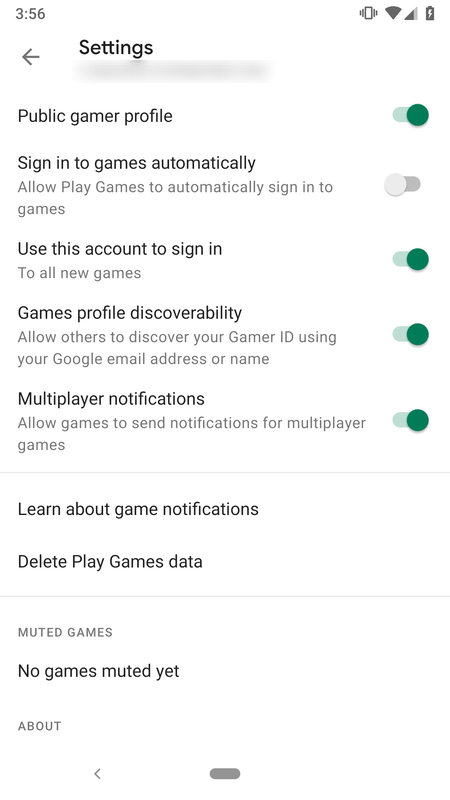 It's not all that important, but Google technically revealed some of the statistics about the current division of gamers based on their levels. 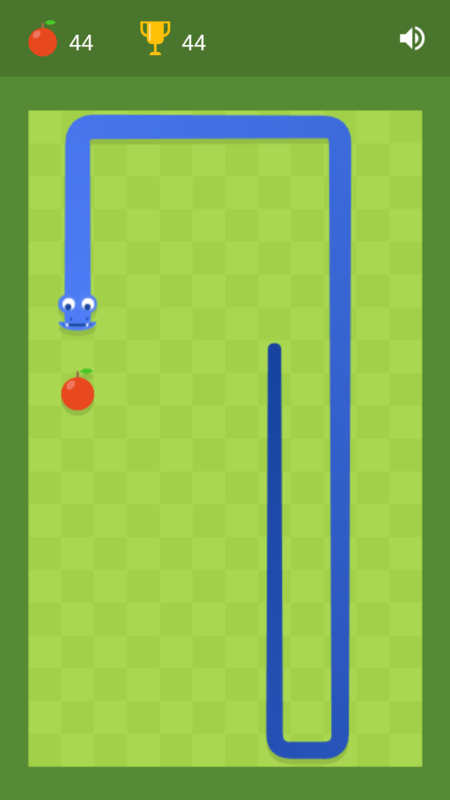 New strings have been added that given commentary each time a level is gained. 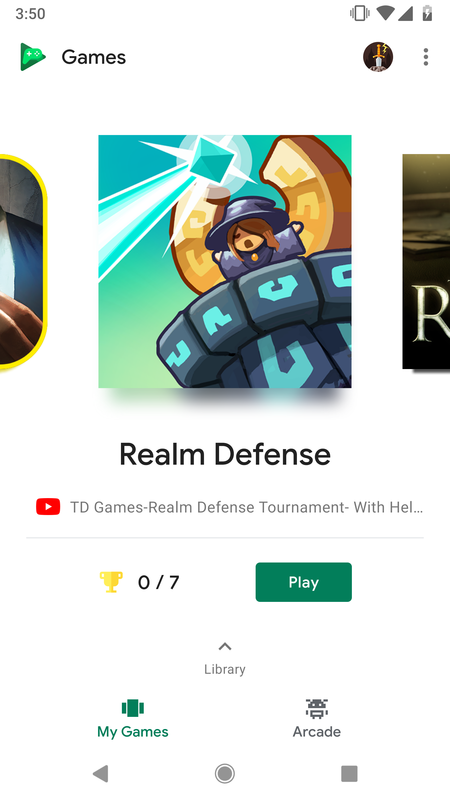 For the first few levels, you'll merely get some encouraging words to keep playing, and it vaguely states that more than 50% of players have hit level 5. 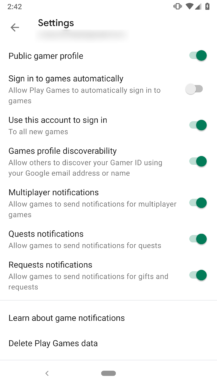 Upon reaching level 9, the phrasing becomes more specific as it states 25% of gamers are level 10 or above. From here, each level includes fairly specific percentages. It's pretty clear that there's a pretty significant drop-off as levels hit the double digits. There's also a strange repetition of 5% for both level 14 and 15, which could mean there's a statistical gap where almost everybody that made it that high was able to keep going... or more likely, somebody forgot to change that line to 3% or 4%. By the time you reach level 20, you're in the elite 1%. Actually, the true elites which account for only 0.01% of players, are level 45 or higher. As a level 34 myself, I'm now questioning my life choices.